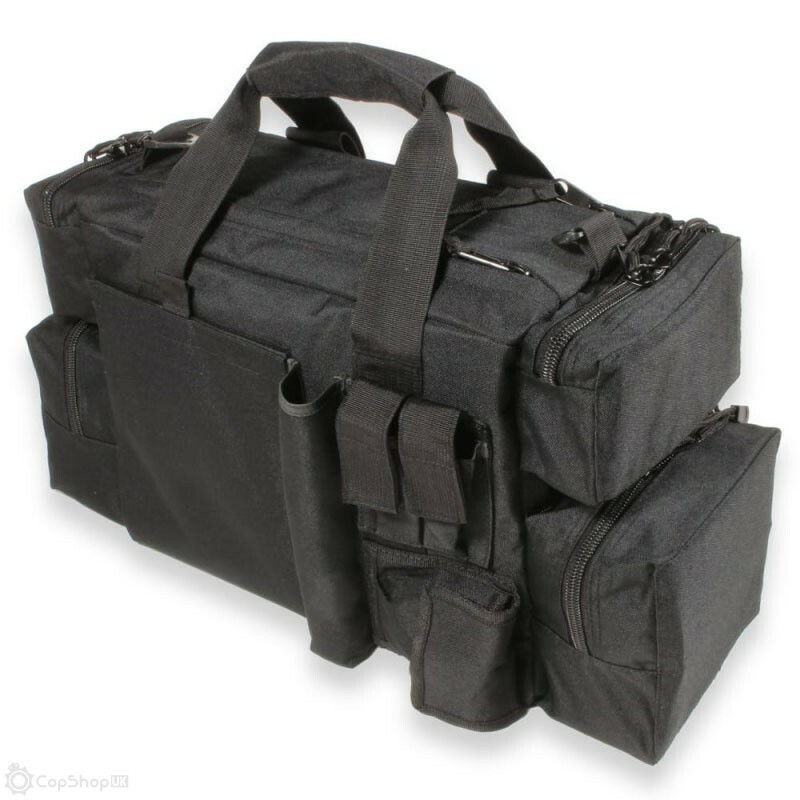 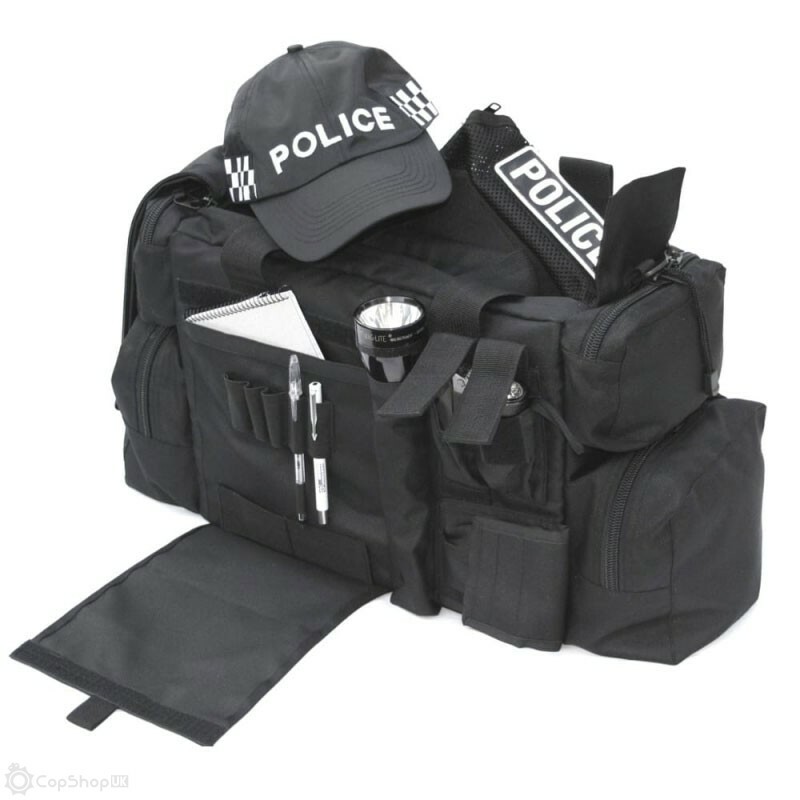 Compact in design, water resistant and sturdily made from tough 1200D material, this patrol bag was built to manage your essential paperwork or equipment on the move. 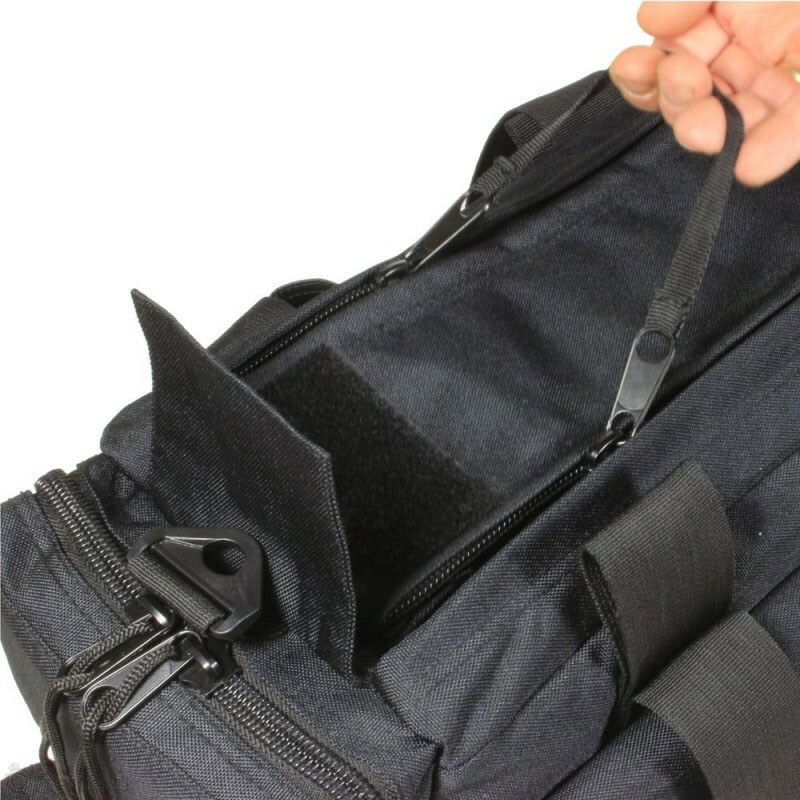 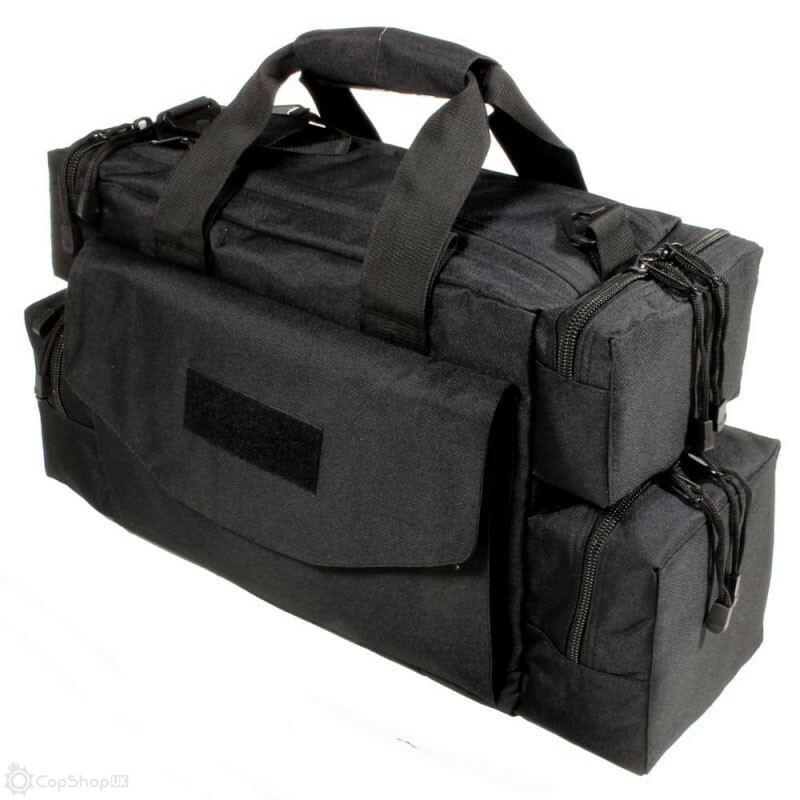 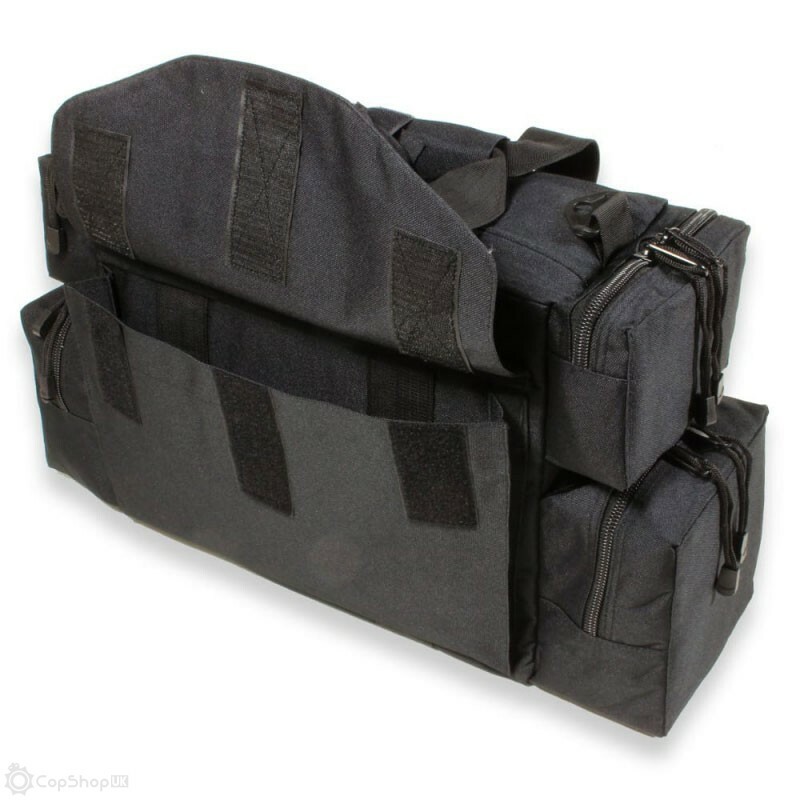 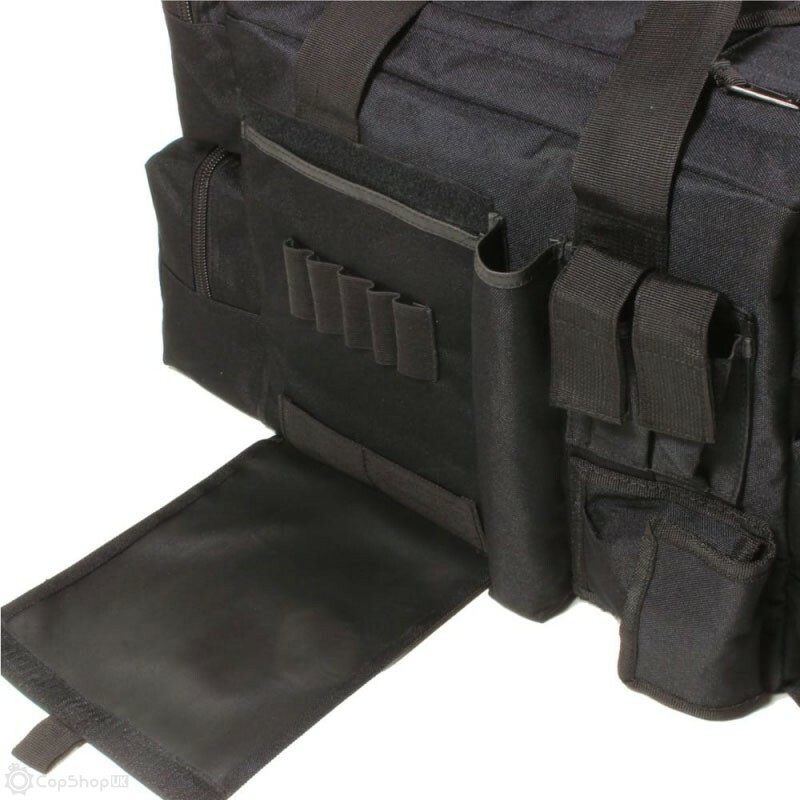 It has two grab straps and a shoulder strap with steel fittings, the main compartment has a removable velcro divider and opens with a linked dual zip allowing quick and easy accessibility to the whole compartment without having to dig through your gear. 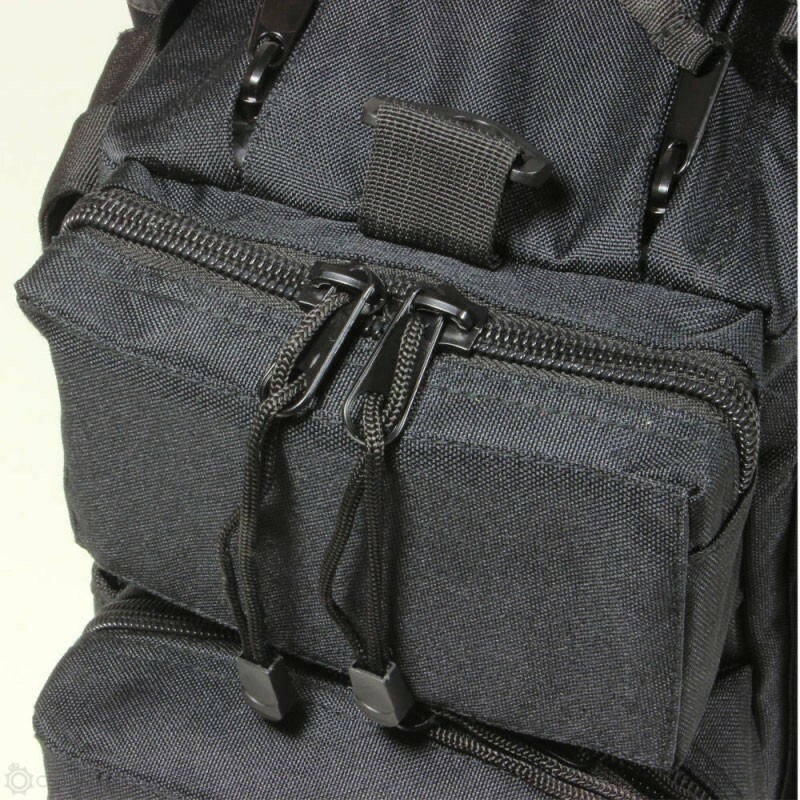 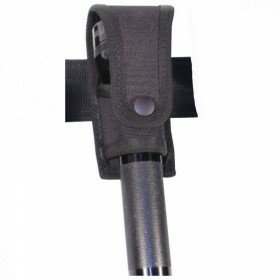 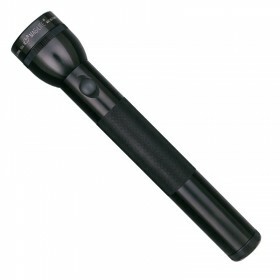 Outside it has four zip pockets each lockable with dual zips, with another 3 velcro pockets and a maglite holder suitable for up to 3 x D-cell maglites. 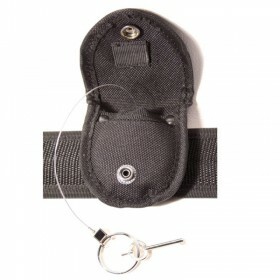 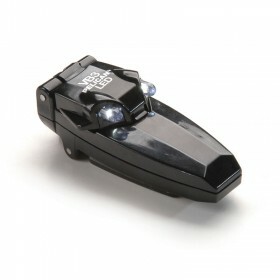 It's unique design feature is a flap that folds down from the pen slot area, giving you a flat area for notes.